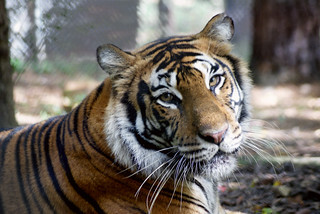 Palm oil production is the leading cause of habitat loss for wild Sumatran tigers. 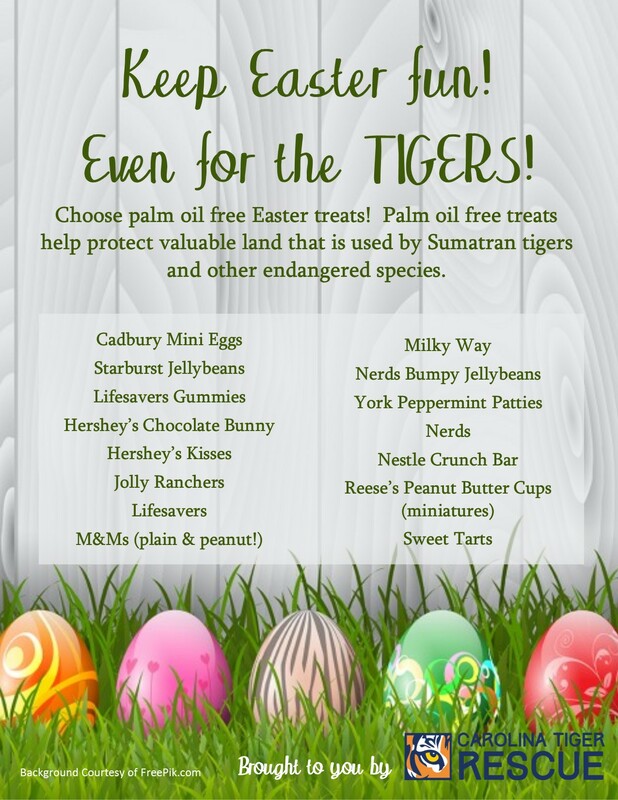 Though some palm oil is sustainably-farmed, the best way to help protect these amazing animals is by avoiding it all together. 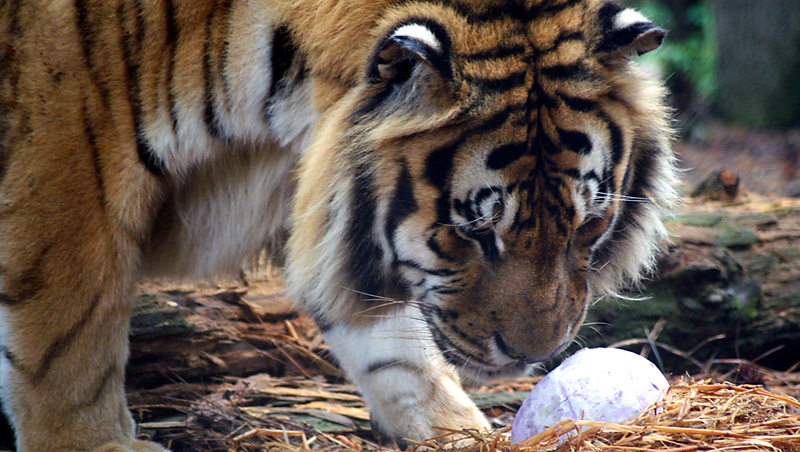 No worries, you won’t have to give up Cadbury Eggs this Easter!